The Copy and Paste Project: I've been copying: Jack Wills, yet again! I've been copying: Jack Wills, yet again! Earlier this week, I came home from work to find some good post waiting for me on the doormat: the latest Jack Wills handbook [which you can view online here]. 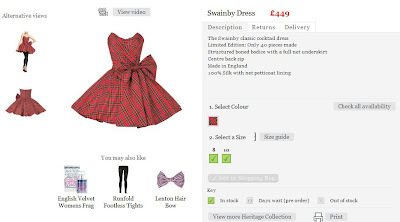 One of my favourite dresses for my Barbie doll was red tartan and the combination of amazingly engineered Jack Wills dress and nostalgic flashbacks to dressing my dolls .... was quite a heady mix. the fact I'm cold even when wearing 4 layers and a radiator. *Paste* A tartan shirt / light jacket which must have been made in response to my rational reasons above because ... Not only will its cosy double-layered brushed cotton serve to keep the hypothermia at bay ... ... at £15:00 it was £434:00 less damaging to my bank balance. And the best thing about it is that, when I win the lottery and get to buy the dress anyway ... I can slip this over the top! Win win! p.s We featured in our first newspaper article this week! It was on the very day I bought this jacket too, so it's been good times all round at Copy + Paste Towers this week! If you haven't seen the article already, you can have a peek at it here. 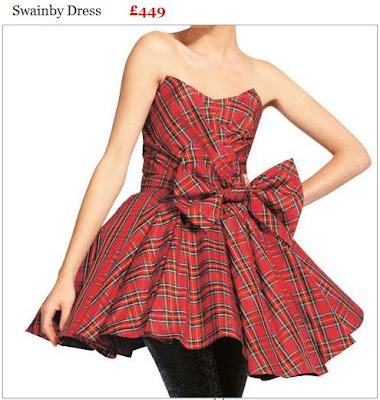 The dress... love thetartan - am in love with tartan anyway but dresses - I don't do dresses. I MUCH prefer your gorgeous shirt! Oh wow. Was that from a local shop or would a drooling admirer be able to get one online do you think? love your win win attitude! !